Welcome to another fun product share! 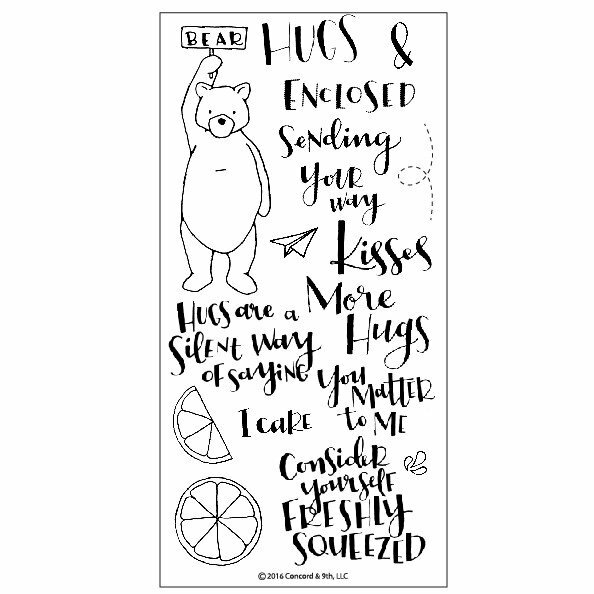 Did you see all of the fun HELLO samples we shared last week? If not, check our our previous blog post. Today we are showcasing the Love Notes bundle from Concord & 9th. 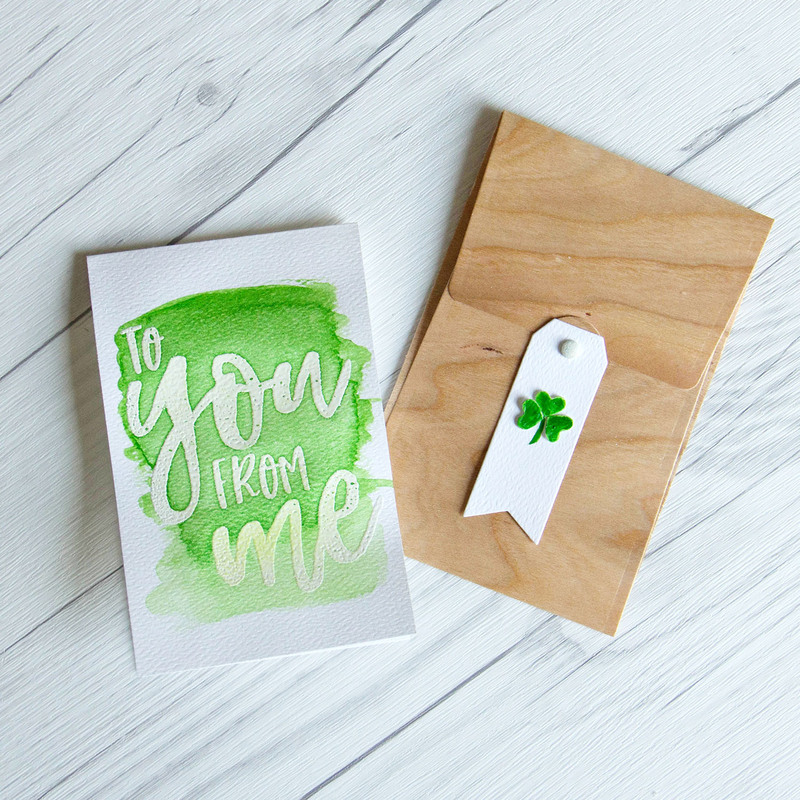 We created this simple little Love Note and companion Real Cherry Wood envelope, just in time for a little St. Patrick’s day gifting. Remember, Concord & 9th release new products on the 9th of every month. That’s just 3 days away. Be sure to give our friends a follow and check out their newest releases this Thursday. 1. 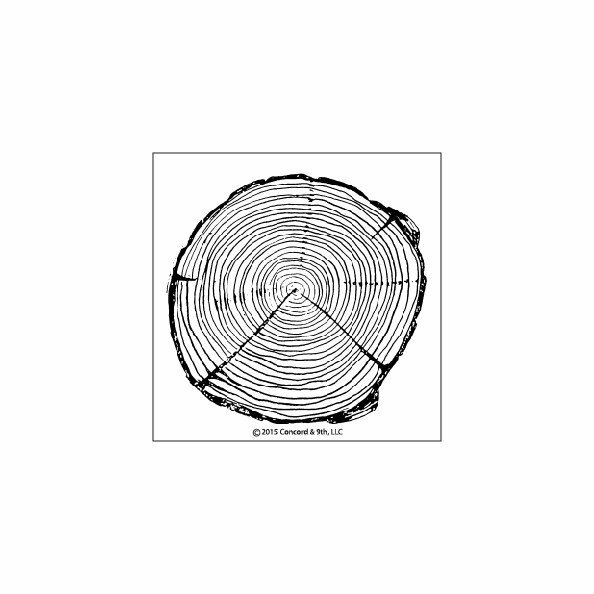 Cut a piece of white watercolor paper to 4.25″ x 5.5″. Score and fold in half. 2. 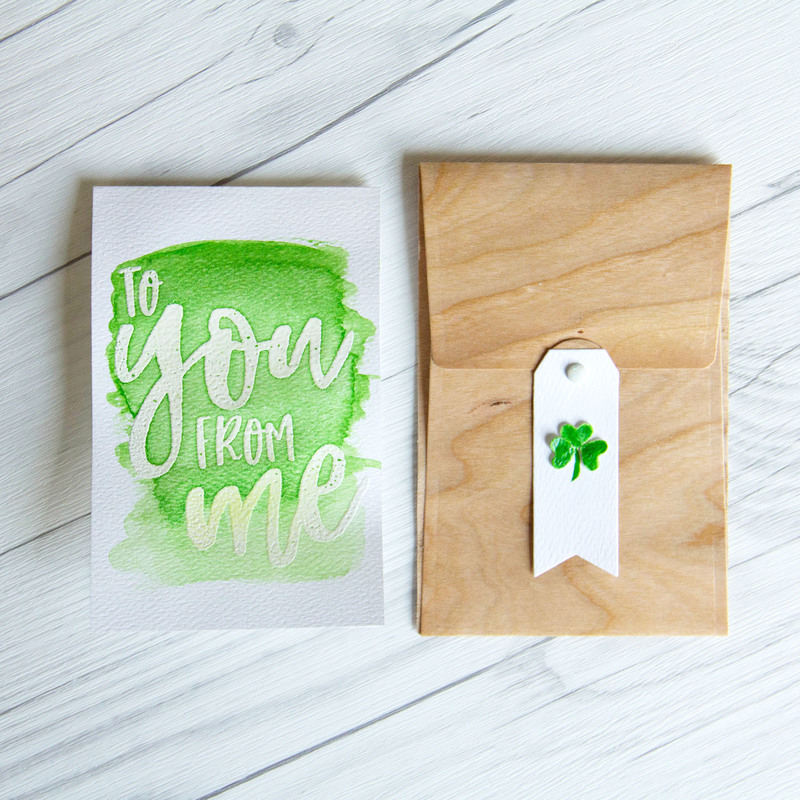 Stamp the ‘TO YOU FROM ME’ phrase in Versamark ink on card front. Heat emboss with white embossing powder. 3. 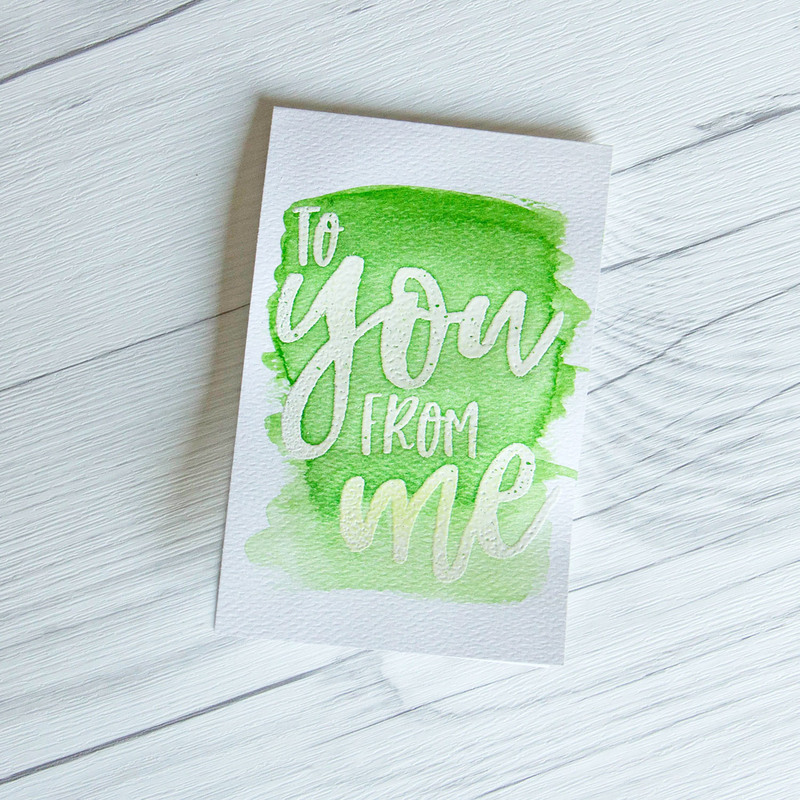 Watercolor over the embossed image with green watercolor paint. 1. Die cut white watercolor paper using the tag shape. 2. Die cut 3 small hearts from white watercolor paper and paint green. 3. 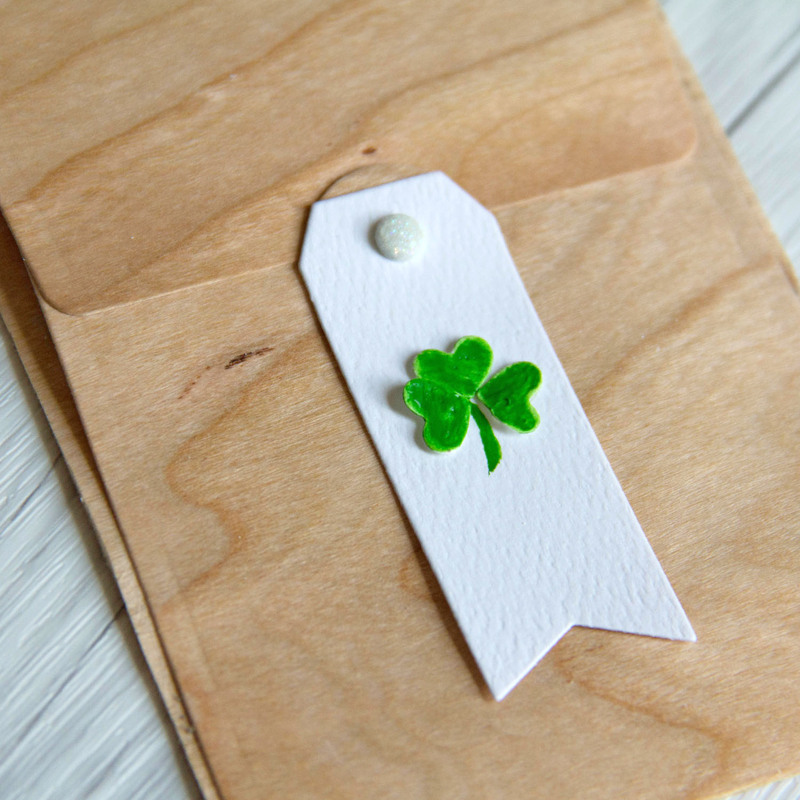 Adhere hearts to the tag in shamrock shape. Watercolor a green stem. 1. 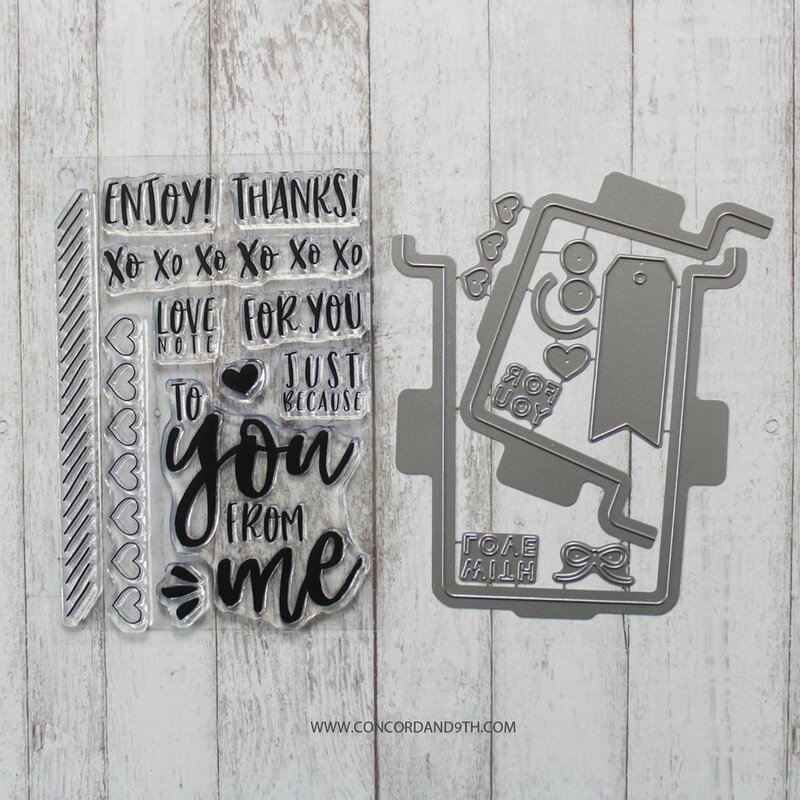 Cut Real Cherry Wood paper using the Love Notes die. 2. Score, fold and assemble. Follow this helpful video on the Concord and 9th Blog to see how to assemble the envelope. 3. 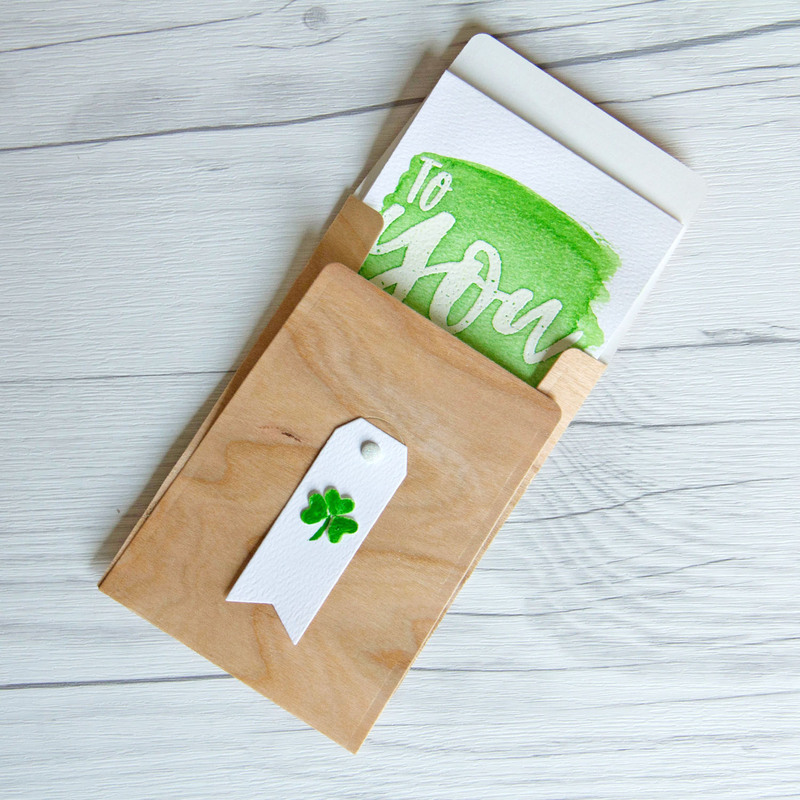 Attach shamrock tag to envelope closure using a brad. 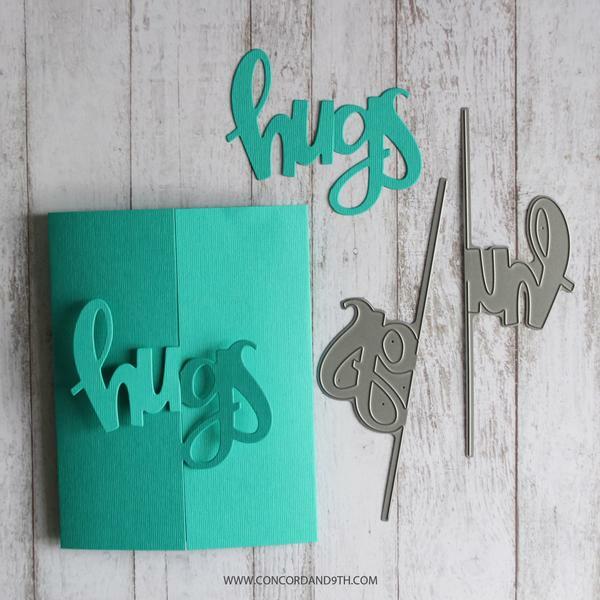 Concord & 9th have so many cute products that make perfect sense to use with our Real Wood papers. 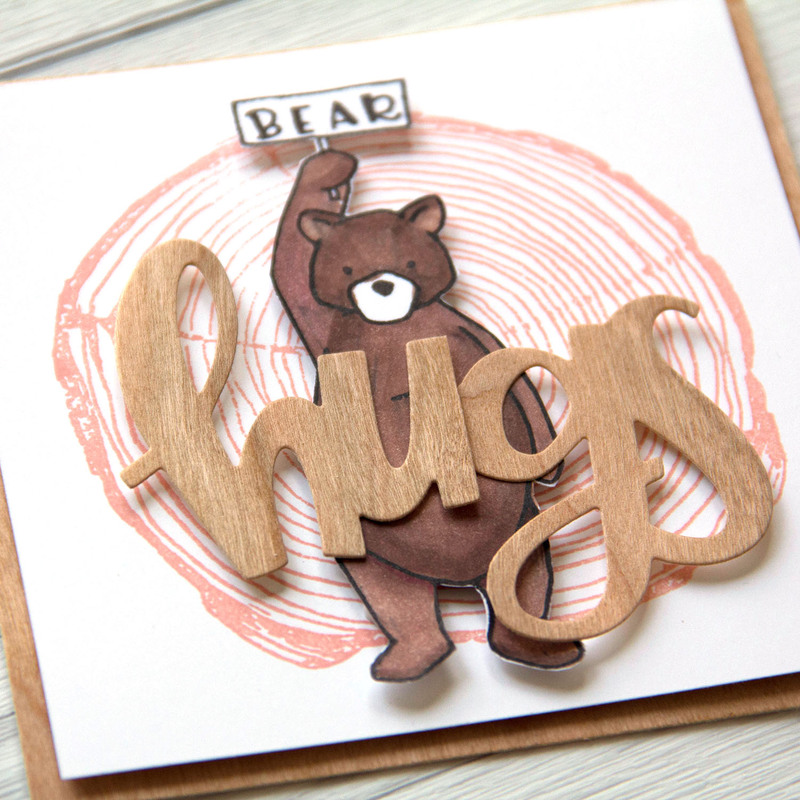 We created this Bear Hugs card using the 3 products below. 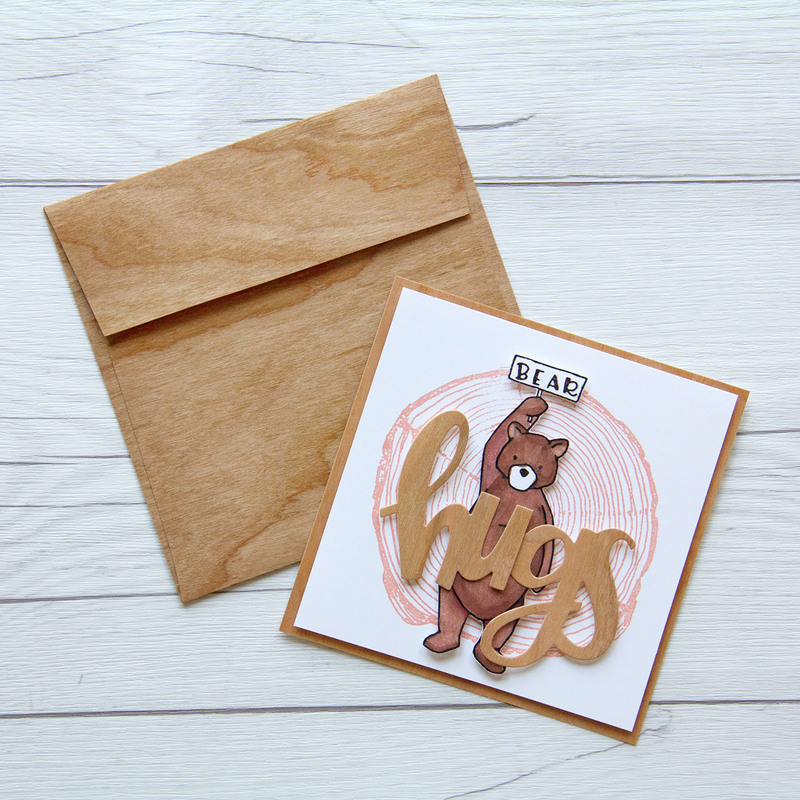 We paired the card with our 5″ x 5″ Real Cherry Wood envelopes. Super cute combo and we love it. Thanks for stopping by. This entry was posted in Card Making, DIY Projects and tagged Birch Wood paper, Cherry Wood paper, Concord & 9th, St. Patrick's, Wood envelope.